Let’s face it we all enjoy a cookie but our waste lines and pockets may not agree with that decision. 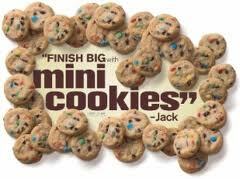 “A Little Taste of Heaven” takes care of both these problems with over 50 varieties of bite size cookies for less then a .99 . Each bite size heaven bite comes out piping hot. Varieties include cookies for those that are Kosher, Vegan, Gluten free and of coarse cookie of the month. There are also bite size salads, soups and drinks. Everyone deserves a little taste. Public officials should realize they are serving the entire public not just those that support them. This doesn’t mean that these individuals must change or modify their principals in their position but it does mean they must actively listen to all their constituents. When a public officials fails to listen they can become arrogant which can lead them to feeling that they are above the rules and laws set in effect. If you are a person of principal you need not fear listening to others and be willing to change a position if the truth leads in that path. Here are a few ways a Public official can reach out. 1) Regularly appear on radio shows with those with differing points of view. 3) Have individuals with differing points of view as their advisors. 4) Work with individuals with different points of view to craft legislation so that their input is acknowledged. Posted by Bruce - in Blog, Political - Comments Off on President Obama resigns…. There are eerie similarities that between President Obama’s and President Nixon that appear to be ending in the same direction. I do not speak on these matters as one who wishes this to occur but as one who studies history. I’ve listed some of the parallels that are occurring today (below) and what might occur in the future. 1. President Obama and President Nixon both were trying to end unpopular wars. 2. Both Presidents had difficult economic conditions to deal with. 3. Both Presidents had scandals occur during their 2nd term campaigns. 4, President Nixon and President Obama had enemies list. 5. Their administrations had people take the fifth in front of Congress. 6. Both administration claimed political motives for the investigations. 4. 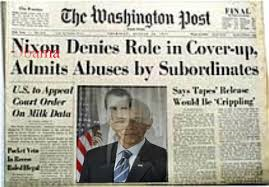 Under pressure Obama is forced to resign. Amanda Bynes- The True Story? Posted by Bruce - in Blog - Comments Off on Amanda Bynes- The True Story? We might not know the true story behind Amanda Bynes yet we do know the effects marijuana has on the brain. The hype behind this “safe drug” can result in strong cases of paranoia. Where an individual might feel others are “out to get them”. This could be the reason that Miss Bynes account of this incident is quite different from the police. Maybe we should reconsider the effects that this “safe drug” has on our adolescents and society as a whole. Michele Backman not running again what does it really mean? 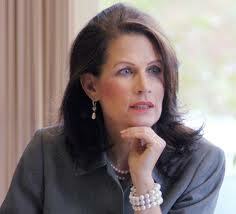 Posted by Bruce - in Blog, Political - Comments Off on Michele Backman not running again what does it really mean? It’s amazing in the current political cultural we live in that when a candidate says that they aren’t going to run again, that there must be a political scandal attached to that decisions. How about Michele Bachman and/or other politicians deciding that they are serving the public for a certain time period and then opening it up to others. I’m sure it can be draining to be a politician who takes strong positions against the current flow but maybe the individual beliefs like George Washington that politics isn’t truly about the person but the people. It is difficult to be an individual when those around you whether family, friends or society just want you to conform. The confront one feels when agreeing to the pact mentality is quite enticing. Those that go along may reap the benefits of those that hold the keys to power. Sometimes that Rebel has no true cause but just wants to show their distinct personality but yet what appears to be foolish to others is quite deep in it’s nature. 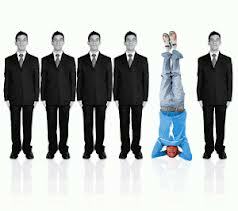 If you are that type of individual there are some key ways to exist among the conformity of the world around you. 1) Understand why you believe the way you do and also understand why others don’t. 2) Try to be respectful of those even if they’re not respectful of you. 3) Find topics of agreement with others that don’t share your rebel nature. 4) Give an inch or even a foot but not a mile. 6) Understand that you make this world more exciting and interesting for the rest of us. 7) No that others might hate you for being that individuals but others will secretly if not publicly respect for standing strong. 8) Love yourself as G-D loves you for being the distinct individual that the Lord has created. It takes a different path then the book. Grease for the best generation! Posted by Bruce - in Blog - Comments Off on Grease for the best generation! It’s time a musical is made based on the times and music of the 80’s. A musical with the romantic angle of a Romeo and Juliet type story but with unique twist. We deserve a musical about our generation that is better then “Rock of Ages” and “The Wedding Singer”.